Vinyl records may have been popular decades ago, but that doesn’t mean they’ve outstayed their welcome. Those round discs can be worth a lot of money to the right person, so hanging onto them for this long could prove to be lucrative for you if you’re willing to send them. The trick is to find out who buys vinyl records for the best prices so that you can sell them for cash quickly. It’s also crucial that you know what you’re working with. It would be a shame to get rid of your collection, only to find out you sold it for much less than you could’ve gotten. Let’s dig into getting the best price for your collection and finding out where to sell them, both locally and online. Vinyl records that are kept in near-perfect condition over the year will, like most things, hold more value than those that are beat up and worn. People want to see that vintage stuff is taken care of, so they’re willing to pay more for things in pristine condition. This holds true for your records. Vinyls in good condition will likely play better than worn out records, too. If you’re careful about storing your vinyl records safely, you probably won’t have many, if any, of the above issues. Vinyl records should be stored vertically to help them hold their shape and in their original sleeves. They also should be kept away from extreme temperatures, dryness, or dampness. It’s even better if you have a storage container to keep them in, which keeps them protected from things like dust, pets, kids, humidity, and anything else that might affect their condition and, therefore, value. Having vinyl records still in their original sleeves and with anything that came with them originally is much better than trying to sell them without their original stuff. Some vinyls would come with sheets of lyrics, photos of the artist or band, and other memorabilia that will make your albums worth more if kept and sold together. Of course, if you have any albums that have been signed or are collector’s editions, be sure to hold onto any certificates of authenticity that can significantly boost their value. You know what you have and the condition of your collection. Now, it’s time to research how much everything’s worth! Yes, this will take some time to do because you’ll need to go through every album, find out any features that might boost their value, and track down current prices. But it’s worth it, in the end, to make sure you’re getting every cent your collection’s worth. You might even have special editions you didn’t even know about! WhatSellsBest is a helpful site that you can use to try to find a value for each album in your collection. The site tells you some of the most-wanted items in various categories, plus what buyers are willing to pay for specific items. 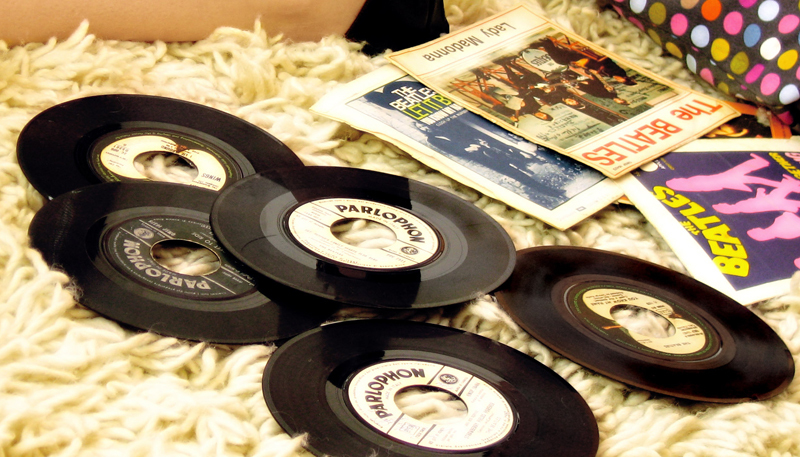 You can even get free appraisals by experts of vinyl records! You should also find out if your record was an original pressing, which means it made from the first round of pressings rather than a later reissue. This can be tricky, though, unless you know exactly what you’re looking for. You can join the Vinyl Reddit thread to ask others there about your albums if you’re not sure. There are a lot of experts on vinyl records there who might be able to help you! Most collections have some sort of rare items that hold more value than others, and vinyl records are no exception. You might have some in your collection that you didn’t even know were rare! In addition to seeking help on Reddit and conversing with the experts on WhatSellsBest, you can always do a little digging of your own. Rarities in the vinyl record world would include things like Record Store Day releases, special edition albums, and limited-edition releases. Sometimes, albums go way up in value after the death of an artist, too. ValueYourMusic could come in handy here. This site curates prices of albums that have sold on auction sites to give you an idea of what your albums might be going for. Ready to sell your vinyl records? Finding a local buyer could be the best way to go because the buyer might be more willing to pay an excellent price if they can physically see your collection. Plus, you won’t have to deal with any shipping costs that could eat away at your profits! Yes, these still exist in some places (mostly cities, but I’ve seen them in small, trendy towns too). Record stores are always on the hunt to replenish their stock of albums, from super common to incredibly rare. They just want to be able to keep selling awesome records to the public, so they’ll usually take what you have. Even if it’s not worth much, they can still likely make some money off customer purchases of your albums. The problem with this, though, is that you definitely won’t get your collection’s full value. The store needs to make money, too, so you should probably only expect about 50% to 70% of your collection’s value to make room for the store’s markup. Unless you need to make a really quick buck, it’s probably better to wait to find the right buyer for your albums instead of selling them to the local record store. It’s not uncommon for people to visit the flea market in search of old albums. You’ll usually find at least one or two people selling them already. The flea market is a great option because people go there looking for vintage stuff they can’t find anywhere else. The right buyer could walk up to your table and be ready to buy several – or all – of your albums without thinking twice. Even if you can’t find someone to buy your full collection, you’ll probably find a bunch of separate customers who want to buy one or two, which could actually help you walk away with more money in total than selling your albums together. If your town has thrift shops, it might be worth your time to pay them a visit. Although these stores are known for their low prices (which means paying you even less to they get a profit), they also are known for getting some really cool, unique stuff that’s worth good money. They might just think your collection is cool enough to have a place in their shop. I love selling stuff with the Facebook Marketplace. It’s really simple to list items on there, add a few pictures and a description, and find a buyer. The Marketplace even shows your stuff to people in other areas if you don’t mind shipping items. When you list on the Marketplace, you can sync your listings with buying and selling groups, your Facebook profile, and your pages if you want, which gets more eyes on your items. A lot of people will probably try to get you to sell your albums for a lower price, but don’t give up. You might just find someone who knows the real value of your collection and is willing to pay top dollar for it. Craigslist is a site where you can sell your albums locally or across the country, but it’s typically used locally as a free place to list stuff for sale, kind of like the Classifieds in a newspaper. You can show photos of your albums with a description for buyers to contact you about, all for free. When you think you have someone with a legitimate interest, you can set up a meeting place and date for the person to check out your collection in person and pay you. Just remember that Craigslist has no protection for sellers, so it’s up to you to use your best judgment in selling your stuff. Don’t accept checks instead of cash, meet in a public place, and always bring someone with you for your safety. Host your own yard sale and you might get at least some of your albums sold. Yard sales aren’t generally known for big-time buyers showing up, but it can happen. Be sure to advertise your sale in the newspaper and online wherever you can, like your social media channels and any local groups you’re a part of. Ask your friends and family to spread the word, too! Used bookstores can also be a treasure trove for other vintage finds, like albums. If you have any in your town, see if they might be willing to take a look at your collection and offer a price. Selling your albums online might get you a better profit than selling locally. You’ll reach more buyers this way, so you could find just the right person who knows the worth of your collection and doesn’t think twice about shelling out the cash. This seems to be the holy grail of all things records, or music in general. Discogs is mentioned by tons of people who have a vested interest in vinyl records, as well as Reddit threads and other online groups dedicated to these albums. The site offers a database of support about vinyl records in its articles and community. It’s also a marketplace for buying and selling music, and it seems to be mostly experts and avid collectors who hang out here (that means you have a good chance of finding someone who’s very interested in the value of your collection!). The site also has some pretty low fees associated with listing items compared to Amazon or eBay. eBay is a great place to sell almost anything online, but collectibles tend to do really well on the site. People go to eBay, in fact, to find the missing pieces of their collections, whether they collect Hot Wheels, dolls, or vinyl albums. On eBay, sellers can list items for a flat price or put them up for auction and see how high the prices soar. If you list your collection as an auction and are concerned about it selling for pennies, you can always put a reserve price on it to make sure it doesn’t sell for anything lower than you set. Amazon is another option if you don’t mind selling each record separately rather than as a full collection. It’s free to create a seller account on Amazon. You’ll just pay fees when your items sell. The best part about Amazon is that listing your albums is super simple. Just search for it on Amazon, find the exact match, and add yours. Amazon will use its own photos so you don’t have to worry about uploading them. You can also see how much other sellers are selling the same items for and drop yours a penny lower to make sure you have the best price! Vinylom is kind of a one-stop shop for vinyl record collectors. You can find information about albums, community discussions, and a marketplace for buying and selling. This is an excellent spot to sell your rare albums; many on the site are going for $700 or more. You can create your own shop on MusicStack to find buyers for your record collection. It’s free to sign up for a shop and list items, but you’ll only get 8% commission on everything you sell, so it’s likely not the best place to list all your rare stuff. But, for those odds and ends that you don’t think you’ll be able to sell for much elsewhere, this can be a good place to get them off your hands. You’ll need a PayPal account to sell here, as that’s currently the only payment method available. You’ve held onto your collection of vinyl records because it obviously meant something to you (and still does). But there usually comes a time in a collector’s life when they’re ready to let go and make money from the time and effort it took to build that collection. By using one of the places I’ve listed above, or a combination of a few of them, you’ll probably start raking in some good money from your album collection in no time. Take plenty of time to research the albums in your collection before you start selling to make sure you’re aware of any rarities and the values of each. This important step alone will guide you to accepting only the best offers from people who are serious about buying your collection. Do you currently have an album collection you’re looking to sell? What places have you considered selling so far? 30 Best Places Where I Can Sell Electronics Near Me or Online! 14 Places That Buy Cell Phones for a Good Price Near Me and Online!